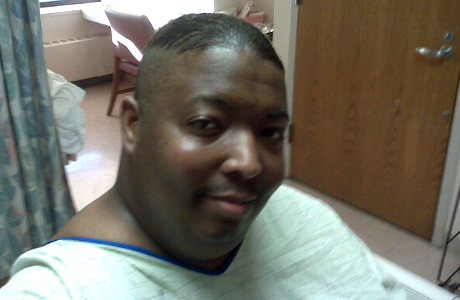 “There’s something to be said about a person who bares his soul to the world,” Aaron-Carl Ragland wrote when launching his personal blog in August of 2005. Being candid was a familiar experience. As an acclaimed musician and record label owner, as well as a friend, father and partner, Aaron-Carl wasn’t afraid to put himself into his art or speak his mind. Through his intensely personal lyrics and heart pounding beats he formed connections with audiences around the world. Despite his considerable reputation it was always the real person on display, his raw emotions and experiences inspired dozens of records. Approachable and patient, generous with his time, it was difficult not to become his friend, whether you were an an artist looking for advice, a fan willing to say hello, or a journalist pointing a recorder at him. Even in the age of social networking when audiences expect their artists to regularly reveal personal minutiae, Aaron-Carl’s “bittersoulfulsweet” candor stood out. 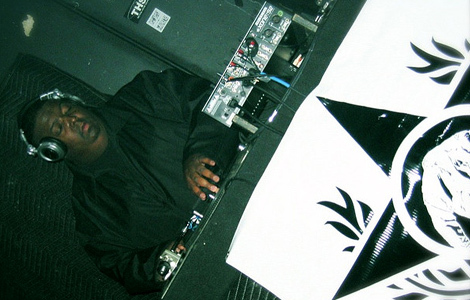 In 1996 his twin debut singles defined his candid style: “Crucified,” a moving deep-house work which doubled as a suicide note, was released on Soul City. “Down,” a growling electro track released by Ghetto Zone Records, proclaimed in no uncertain terms this young gay man would not be denied his carnal desires. 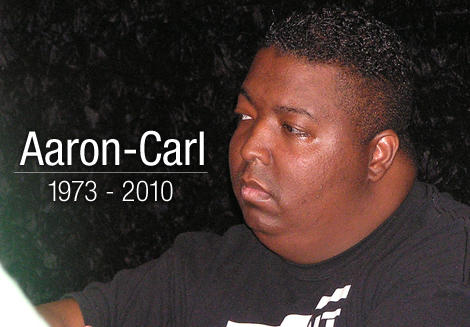 Although the latter tune divided opinion, its notoriety helped launch Aaron-Carl’s career and became a Detroit standard. Fellow Detroit musician/producer Maurice Herd aka Pirahnahead was stunned when he first heard “Down” during his residency at Detroit venue Regine’s. “I was in a funk rock band at the time and I wanted to do a live punk version because it was so raunchy and raw,” he said. Angie Linder, founder of the Detroit Techno Militia label/collective, was exposed to the track in 1998 when it was licensed by Juan Atkins’ Metroplex imprint and heavily featured in Gary Chandler’s WJLB’s radio mix shows. “I almost couldn’t believe my ears when I paid attention to the lyrics!” she recalled. 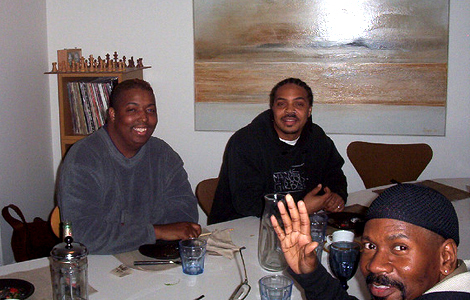 Being under the Underground Resistance umbrella, and working with Banks, helped Aaron-Carl refine his songwriting and expand his knowledge of production and recording techniques. “He was like my father in a way,” AC wrote on his blog, “Because of him I know the difference between a good idea and a great song.” The label provided the means to release his records, but he was shocked to find out his contract did not grant ownership of his work. 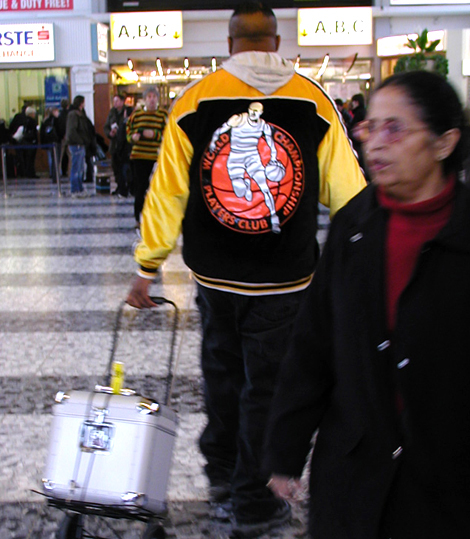 Furious, AC left the UR roster in 1998 and soon founded his own imprint, Wallshaker Music. 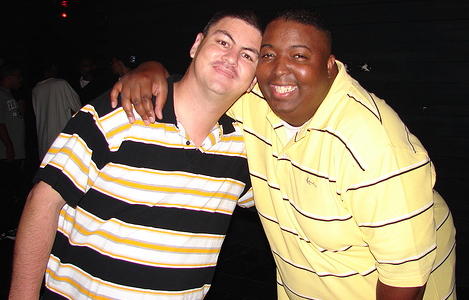 Although Aaron-Carl continued to record and remix for a variety of labels, Wallshaker was the primary outlet for all facets of his musical personality, not just the ones sought after by fickle A&R reps. One of its first releases, the prescriptive “My House,” was licensed by Ovum Recordings in 2000, remixed several times and landed at number 36 on Billboard’s Hot Dance Music/Club Play chart. 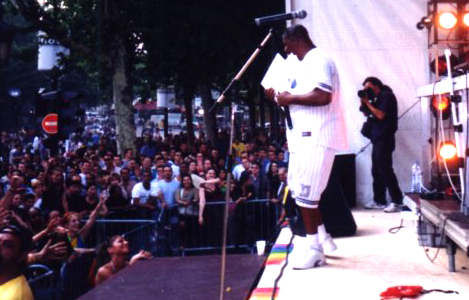 Altogether the label released more than 30 records by artists such as Santiago Salazar, InBetween DJs, Lady Blacktronika, and of course Aaron-Carl. 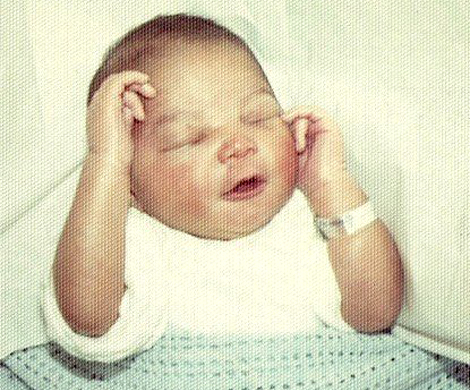 But running his own label was hardly a panacea for his musical woes. His creative freedom was yoked to the burden of recouping costs and turning a profit from record sales. With the international renown he’d cultivated — not only through his tracks but also DJ gigs which doubled as live performances — the demand was there. 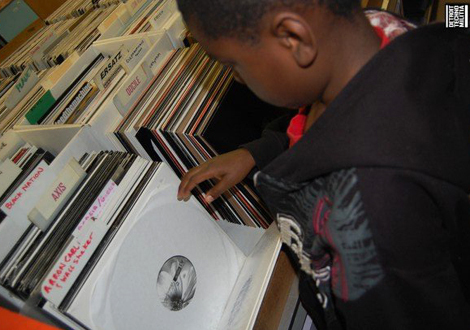 Instead Aaron-Carl’s challenge was getting Wallshaker’s records onto stores’ shelves, not least because he refused to work with Submerge, Detroit’s biggest distributor owned and operated by Mike Banks. Piecemeal arrangements and royalty fees helped keep the lights on but often left thin margins. 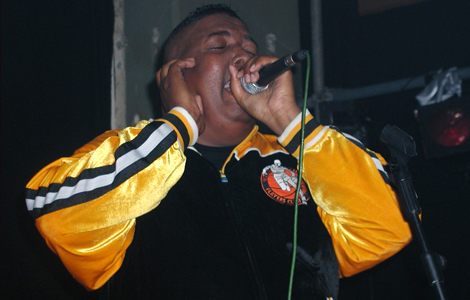 In his typically open style, AC broached the subject repeatedly on his 2005 album, Detrevolution. “This is a true story,” begins the track “Brokedown Blues” whose chorus admits, “I need money, a whole lotta money.” Throughout the mid-2000s his doubts about being able to afford his musical career led him to consider putting it aside in favor of a day job. Yet the support and encouragement of those around him, especially his life partner, Mel Winders, helped him persevere. Aaron-Carl’s desire to create a positive environment extended into his community as well. 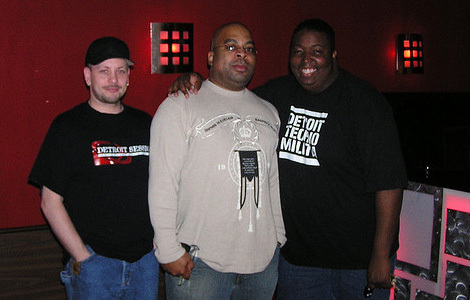 In 2004, he met Stephen Smith aka DJ Trench who was tasked with designing the cover for AC’s single “Tears.” Bonding over music and much else besides, the pair shared a sense that Detroit’s dance music clubs weren’t living up to their potential and underground events were too often under attended. “Music was divided [by] genres, and crowds were split between locations,” Smith said, “so we decided to do something about it.” In late 2005 they launched Jackit!, a bi-monthly club night with an open music policy — you could often hear rap and rock amongst dance tracks — and a goal of showcasing local talents. This inclusive approach proved popular, and by Smith’s account, “we were just a bit ahead of the curve, as many of our featured performers have started popping up regularly in the media over the last two years.” Jackit! continued until Smith moved away in 2008, but it was the starting point for Aaron-Carl’s most ambitious project. Inspired by the success of Jackit!, the sense of family he admired among the Detroit Techno Militia, and the disparities in the reception he received Europe and Detroit’s scenes, AC founded the W.A.R.M.T.H. 313 collective in late 2009. The group’s name was also its mission: We Are Revolutionizing the Movement of Techno and House. 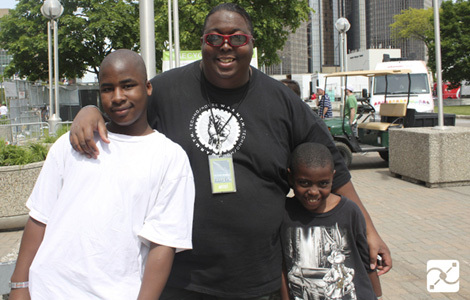 Initially the goal was “to honor Detroit’s history… to insure the future for Detroit electronic music,” he told me, starting with providing support for local artists and throwing large live events. But as time went by, the inclusive attitude that informed Jackit! became a guiding factor, and AC took W.A.R.M.T.H. international. He picked talents from across the country and around the world to join the group, from DJ Israel in Dallas and DJ Chyll in Detroit to Larry Cavelle in Britain and long-time friend DJ Mourad in Sweden, among others. Besides their events, W.A.R.M.T.H. operates a 24-hour Internet radio station. Now anyone with an Internet connection can be a part of the of community AC worked so hard to build and maintain. For all he accomplished and all the hardships Aaron-Carl endured to live his life on his terms, one challenge he wasn’t able to overcome was cancer. Just before his planned 2010 European tour, AC was admitted to the hospital after suffering a ruptured aneurysm in his right kidney. Although it was a painful and upsetting experience — especially having to cancel his tour — he was hopeful that time and rest was all he needed to heal. Instead it was necessary to return to the hospital several more times as his symptoms worsened, and on September 23rd the doctors diagnosed him with lymphoma, a fact he confirmed in a heart wrenching video. Through it all AC was outwardly upbeat and confident about his chances of beating cancer, frequently updating his many followers via Twitter and Facebook. But in the early hours of September 30th, only a week after receiving his diagnosis, Aaron-Carl passed away after several attempts at resuscitation. There is no measure for the Aaron-Carl-sized hole left by his absence. The world lost a true artist whose enduring commitment to honesty, both in music and in life, was rare and affecting. Yet the truths he told live on in the many songs he recorded and in the spirits of those whose careers and lives he inspired. Even Wallshaker and W.A.R.M.T.H. International, although left somewhat rudderless after, continue on with his acolytes and loved ones at the helm: Mel Winders has committed himself to keeping Wallshaker operational, digging through a wealth of unreleased material and ensuring its proceeds benefit their children. W.A.R.M.T.H. 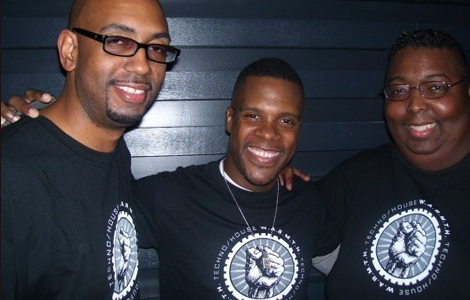 is being overseen by DJ Chyll and his wife, Michelle Weeks (who were introduced by AC), and DJ Mourad. Although I had only a few conversations with Aaron-Carl, he was quick to include me in his life. During the 2010 Movement Festival in Detroit he invited me to his house. We time spent sitting in his studio, discussing the current state of electronic music and its future with AC, DJ Chyll, DJ Israel and one of his friends, Vergel Evans. All I did to deserve this was to conduct an interview, which was more like a conversation with a friend. One of the bravest and most giving artists in dance music made me feel special, and this tribute is the least I could do to repay his kindness and celebrate the life of a spectacular human being. Absolutely Beautiful! Great write up! HE is missed every day! Excellent work. I Love it! Can’t Thank You enough for the support and contribution. Beautiful. Thank you so much for a stunning bio, journey and beautiful pictures. AC you are loved, missed and treasured. very nice piece Steve. it’s always good to see the community, in all senses of the word, come together. Steve you did an excellent job! This was an absolutely touching article. Thank you for including my pictures, I’m honored. I loved AC like he was part of my family and think about him all the time. Beautiful, I love and miss AC. Thanks for this. I must have at played the vinyl bare on Crucified when it came out, and that strained vocal still gets me to this day. A bonafide house classic. I commented on Aaron’s Soundcloud page about it and he was straight back to me. A couple of weeks later he was gone. This is a tremendous tribute, Steve. Thank you. I loved his productions and thanks to this, I will remember the man he was too. “We’re not promised tomorrow” – what a great quote. he was like the brother I never had and the only one who took time to listen and play my music on his show. You will always be remembered and always in my heart. Truly a very beautifull article, spreading all the love Aaron was giving to us every day.I knew him and I still love him. I will never forget who was Aaron. Thank You! Well done Steve! Aaron would’ve been touched by such a wonderful tribute. Thanks so much! One of the saddest moments of 2010, in an otherwise great year personally, was losing this beatiful guy. Fantastic story and great write-up! Fantastic write up and very thought provoking. A beautiful tribute. I never knew much about Aaron Carl the person but his music definitely touched me deeply. Seems he was as special as a person as a musician. Steve, thank you very much. Aaron meant so much 2 so many people & faced many trials & tribulations in his life since i’ve known him. It still pains me til’ now of the fact that he’s gone & still can’t deal with the reality….i was used 2 the any hour phone calls & us laughin’ til’ our sides hurt, now i hear his voice in memory (this man was a true friend 2 me).My heart 2 Mel & his children. I constantly reminded him of our contributions & what we (artist/producers/DJ’s) leave behind (art/soul) in this world & why…. A great producer/DJ/trusted friend, i miss the calls. I tried to comment earlier, however, I’ve had time to reflect on losing one of my best friends. I had the honor and pleasure of accompanying him to what turned out to be his final gig. We laughed, ate and joked with Myles Serge and “Phrek” Miller (6one6 crew) and just had FUN. That is how he was, he just wanted peace and love and to have a good time. I digress. Steve, thank you for writing a tremendous piece about a man who was a friend to many, a brother to some, a father to two, and a mate to one. very nice!. Rest In Peace my good friend.